Solid wood products are steadily increasing; nothing can beat the gentleness and warmth that solid wood brings to our lives. Recently we see them quite often in the form of wood decks in the gardening industry. Y'Z designs and produces machines that add value to these products. These are just a few of the machines we make. Please also feel free to consult us whenever you wonder if something you need can be made, or when you have some difficulty processing something. 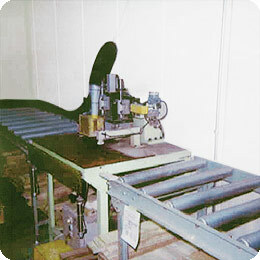 We provide loads of related machinery and time-saving equipment. We may have lots of hints that will help you. of ｔｈｅ ditch processing at the same time. Defects found in laminated boards can be routed out and filled. (Laser marking can be used to confirm the are to be machined). You don't want to have defects in boards. There's a machine that can repair fibrous-like defects in laminated boards. The cutting tool routes out the defect and filling the void returns value to the work piece. 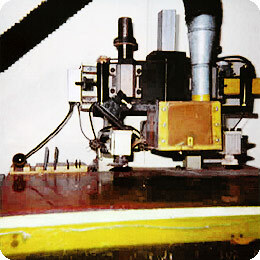 We can design and supply machines according to your needs (length and width). 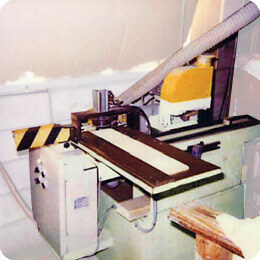 The machine fabricates a wooden piece to fill the routed area. Provide a clean look to interior wood pieces and wood deck material by chamfering squared timber. 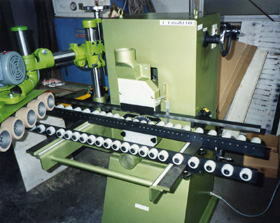 This machine can chamfer the corners of timber 45 X 45mm to 110 X 110mm square and between 900 and 1400mm in length. 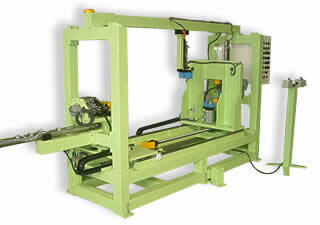 We can design and supply machines according to your needs (square dimensions and length).